This watch comes WITHOUT original box and WITHOUT papers. 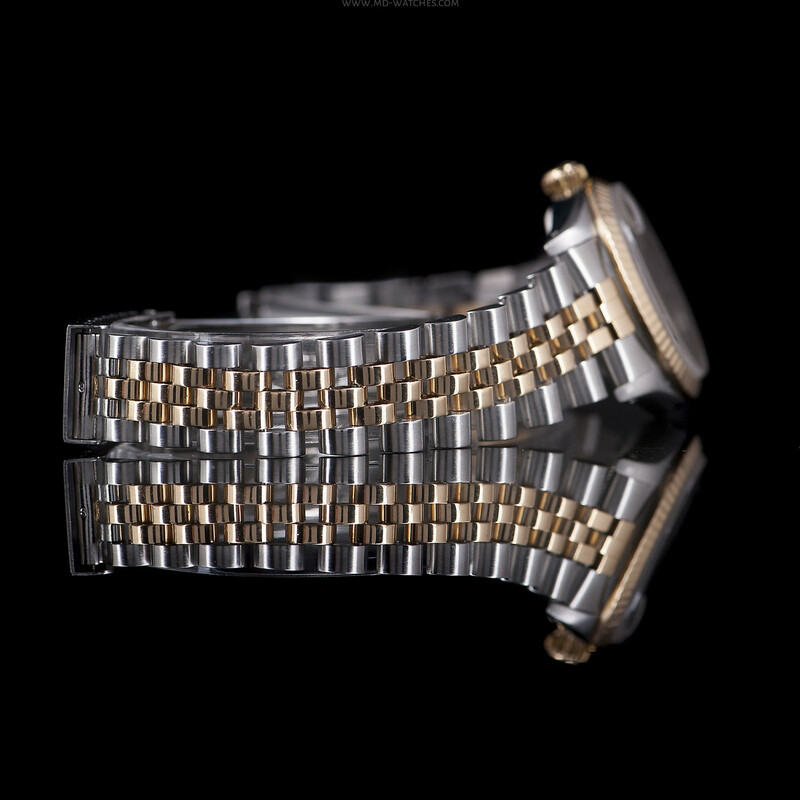 The watch had a revision and polish this month. 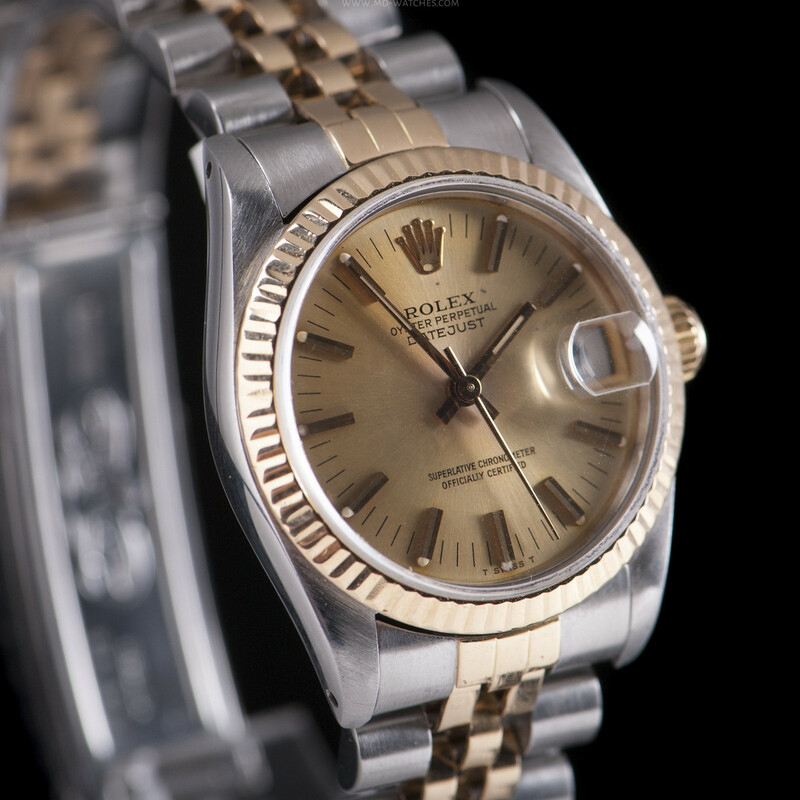 We guarantee that all the parts are original Rolex. 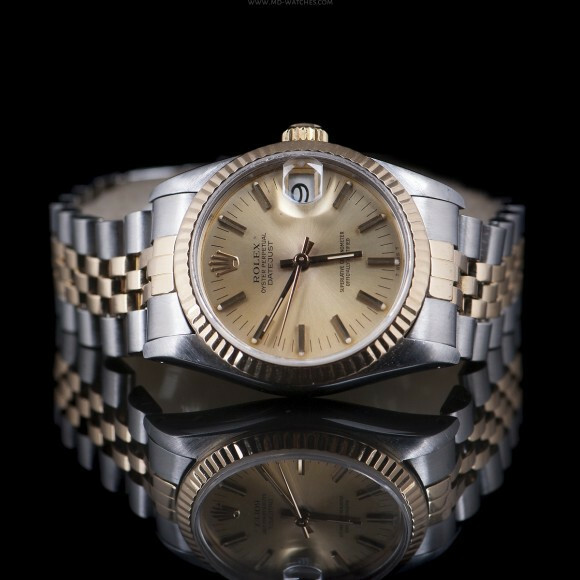 Feminine elegance at superlative, chronometer certified by a flawless and iconic accurate date display window , which change almost magical at midnight. 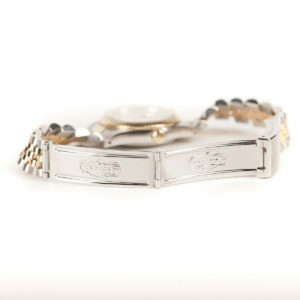 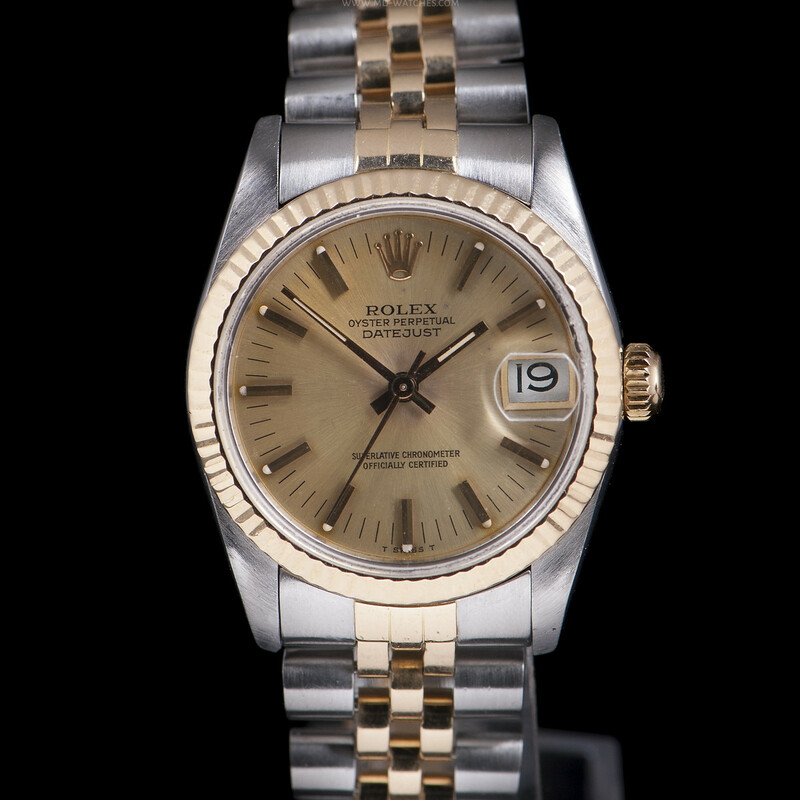 It is one of the finest women’s watches, since 1957. 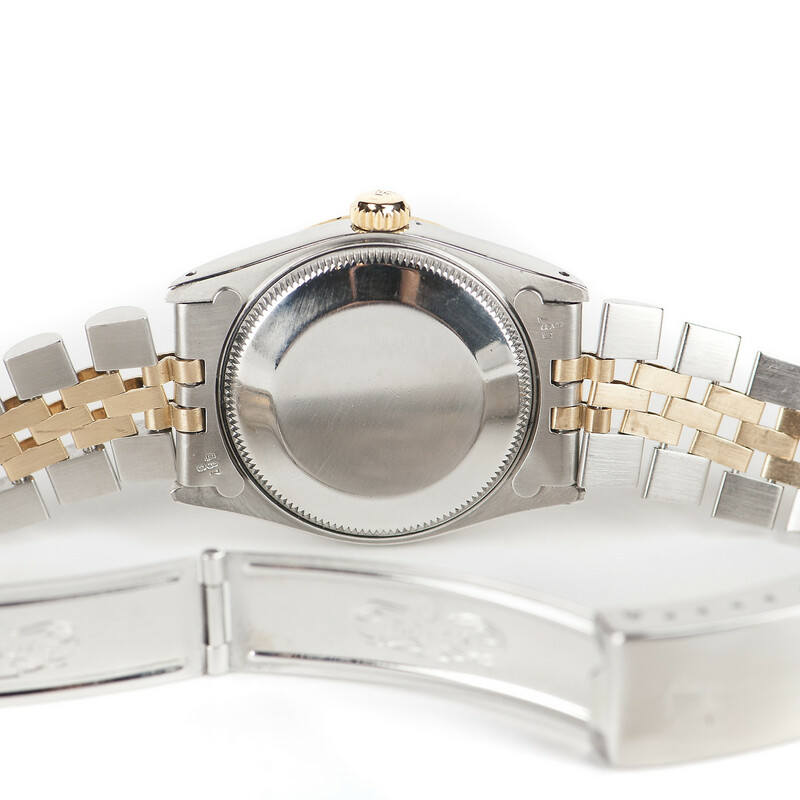 The mid-size dimensions make this model a manufacturing jeweler Rolex Jubilee Bracelet in agreement with 18k yellow gold and steel. The model is a compliment of sophisticated elegance, signed by Rolex. 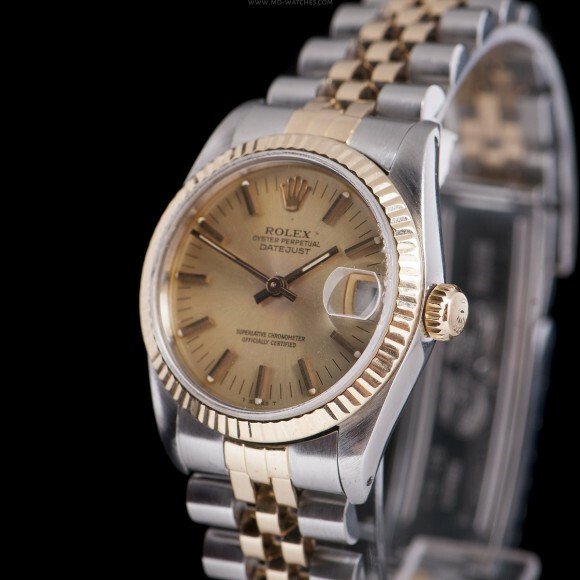 The recent comparable model Rolex Oyster Perpetual Datejust Mid-Size in 18k gold/steel with automatic movement and original Rolex Jubilee bracelet 18k gold/steel has an retail price of aprox. 3,800.- – 4,500.- Euros. We accept payments by wire transfer to our company’s bank account, by credit card (VISA, MASTERCARD, etc.) or PayPAl. Please note that goods will only be sent after agreed payment is visible into our account.